HERE WeGo helps you navigate an urban environment, offering various transport choices, from comprehensive taxi information to cycle routing. Now, if you are visiting — or live in — a location where Lyft operates, you’ll now be able to request a ride through HERE WeGo. After you open the HERE WeGo app and enter your destination at the top, you’ll be given various transport options: from driving and cycling, to public transportation. 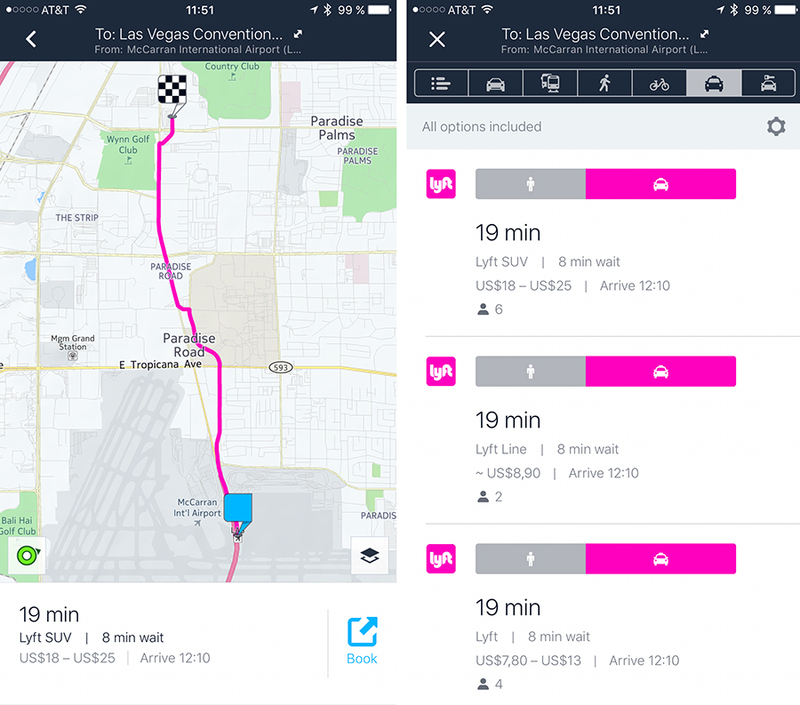 If Lyft is available for that route, you’ll see it as an option in the route planner, highlighted by its familiar pink logo. You’ll be able to see the driver’s arrival time, real-time route information, and fare estimate. Once you’re ready to request a ride, simply tap ‘Book’ and the Lyft app will open to complete the booking. If you’re new to Lyft, you’ll also be eligible for up to $5 off your first three rides when you request through HERE WeGo. What more could you ask for when trying to navigate Las Vegas for CES?